2. What Is An Earache? 3. What Causes Ear Infection in Adults and Children? 4. What are Symptoms of Earache? 7. Is It Possible to Use Antibiotics for Ear Infection? Even the slightest pain in the ear can cause us to suffer for days because ear is sensitive. Babies will cry while adults cannot focus on anything due to ear pain. Earache will lead to such terrible circumstances. Let’s have a look at the use of essential oils for earache – a completely natural and safe method to save you from this problem! This problem is said to be very common in children. However, there has been increasingly common for adults to experience it these days too. Earache can be easily detected once you have already suffered from it. But even the sufferers do not usually understand the ear’s structure and balance. Our ears consist of three distinct parts, known as the inner, middle and outer ear. All of them get on well with each other in normal circumstances to guarantee the smooth transition of sound to the brain. Nevertheless, when your ears are attacked by bacteria or virus, that’s when ear infection happens. It is known as an earache . What Causes Ear Infection in Adults and Children? The infection might happen to only one part, and the identification of the cause will be useful for ear infection treatment. If your outer ear is infected, it is much easier to figure out and stop. It is also the most painful type of ear infection. It usually happens because there is some water in our ear after we swim or take a bath. Water facilitates the growth of bacteria which leads to irritation and itchiness . Meanwhile, when your eardrum or tympanic membrane is infected, it refers to middle ear infections. After allergies or a cold, some fluid may be trapped in your middle ear. And it enables bacteria to develop and cause this problem . The second type is much more dangerous as it may lead to hearing loss. So, you definitely need to be seriously concerned about it if you have undergone it. What are Symptoms of Earache? Fluid drainage from their ear. Thus, it is essential to find out how to treat an earache quickly. Because children are more vulnerable to an earache, some natural methods are more appreciated when it comes to ear infection treatment. They are safe and do not have unwanted effects in the long term. For years, people have practiced the use of essential oils for ear pain. But the question is what essential oils are really good for earaches? You will have the answers as below. Garlic oil is definitely the most popular essential oil for an earache as it is available at almost every health food store across the country. Raw garlic has amazing effects on our ear thanks to its natural antiviral nature. This property is particularly useful for treating earache in children because the possibility of virus attack is much higher than that of bacteria. If you can get pure garlic oil, it will provide a lot of allicin to alleviate the inflammation that is damaging your ears. Also, this substance can relieve pain because it is strongly antioxidant. The recommendation is to use around two warm drops on a daily basis. It would be such a perfect anti-inflammatory and antibacterial essential oil as garlic oil for your ear infection. Besides, it is also common to see the combination of garlic oil and olive oil to have a good remedy for ear infection. Lavender oil is another earache essential oil that promises to save you out of pain and irritation caused by this problem. 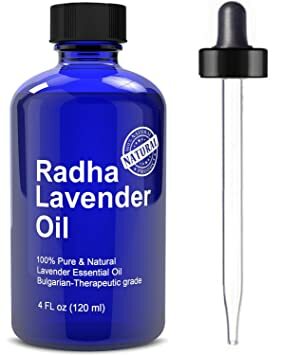 While many essential oils might not be used in the raw form in the treatment, lavender oil has been accepted to be safe even in its undiluted form. Its safety has been confirmed by the University of Maryland Medical Center. If you wish to choose lavender oil for an earache, you had better take a little oil and rub it on your outer ear gently. Or you might prefer mixing it and coconut oil. It is essential to note that you are not let the oil go too deep into the ear. Otherwise, the inflammation or pain may be worsened. As mentioned above, many people are struggling with an earache just because they forget some water inside their ear. It results from the habit of not cleaning your ear carefully after swimming or bathing. But fortunately, you can find a solution to it with the support of tea tree oil. With its astringent quality, tea tree oil is very effective at drying up any remaining water inside our ear. In other words, tea tree oil is one of the best essential oils for fluid in ears. Moreover, its antibacterial and antiviral natures are beneficial for those who have ear infection. 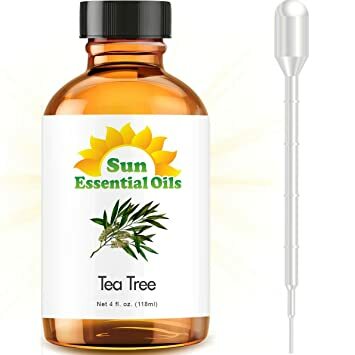 To make you more relieved about it, the use of tea tree oil for an earache and a series of other health problems has been practiced for decades. Thus, you can count on it without worrying about side effects. Each time, you should use only between 6 and eight drops. And you can repeat doing so a few times per day to witness faster results. Thyme oil is another example among the most popular oils for an earache to which we want you to pay attention. It contains thymol – a unique substance that provides incredible analgesic and anti-inflammatory qualities. 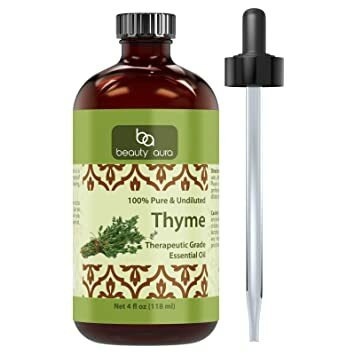 It is claimed that thyme oil does not treat the root of ear pain. However, you can count on it to quickly erase discomforts you have to suffer from. Before applying upon your ear’s outer part, you should combine thyme oil and other ear pain essential oils, such as olive or lavender oil. Like other oils, thyme oil should not have direct contact with your ear canal. Otherwise, the inflammation will only get worse. Basil oil is regarded as one of the most powerful essential oils for ear infection in adults and children. So, you will benefit a lot from it. But at the same time, it is necessary to think about using it carefully. It provides such strong and appropriate qualities needed for the treatment of an earache, for example, antiviral, anti-inflammatory, antioxidant and antibacterial. All of them contribute to the eradication of bacteria and virus causing ear pain. Because of its power, you should use a cotton ball and dab it in basil oil. Never soak the ball completely because you do not need much oil. Next, the cotton ball should be placed against the ear. You can use gauze to keep the ball for several hours. It is unnecessary to try pushing the oil into your ear canal. Aromatic compounds of basil oil can take effects right from outside. Olive oil is an essential oil for ear wax. It means that it is suitable for those who would like to eliminate any excessive wax in their ears or treat inflammation. It is particularly useful in breaking up any hard ear wax. Furthermore, olive oil can reduce significantly the level of pain caused by an earache. According to scientists, the concentration in olive oil does not harm, so it is suitable for both babies and adults. There is only one exception. If earache results from eardrum rupture, olive oil should be avoided. You should take a quarter of a teaspoon and pour the oil into your ear canal. It should stay there for at least 5-10 minutes. It is the necessary amount of time to loosen your ear wax and also cover infected areas with antibacterial and antioxidant compounds. Remember to drain the oil after this stage. Mustard oil is usually overestimated, especially when it comes to its antibacterial nature. Nevertheless, it may be advantageous when you are in need of ear infections essential oils. 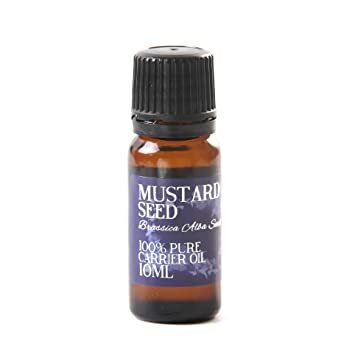 Besides, mustard oil will satisfy you with its antioxidant and anti-inflammatory compounds which have soothing effects on your inflamed tissues. They are effective to help you stay away from annoying symptoms, such as muffled hearing. First of all, you should pour some drops of the oil into warm water (about one cup). Next, it should be carefully poured into your ear canal. After 30-60 seconds, get the mixture out of your ear. If you are suffering from an earache due to eardrum rupture, this oil is not suitable for you. Do not try it! You have probably heard about it – the amazing abilities of peppermint oil. But let me make it clear once again for you. 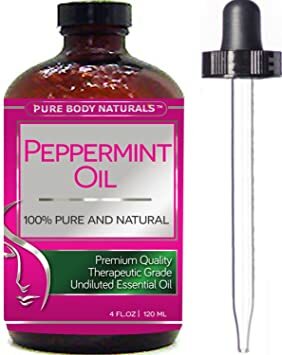 Peppermint oil is one of the most effective essential oils for itchy ears. It all goes from its ability to fight against inflammation and thus, it plays an essential role in reducing pain. More importantly, it has been acknowledged to be among few essential oils for ear infection in toddlers. Nonetheless, you still have to pay much attention to the use of peppermint oil. Normally, it is required that peppermint oil is mixed with other essential oils for earache. You can choose olive or jojoba oil and use peppermint with only 4-5 drops. The mixture needs to be applied gently on your ear’s outer part. Give it some minutes for your ear to absorb the nutrients and then, wipe it dry carefully. You are free to apply this method a few times per day as long as you are careful not to let the oil go too deep inside your ear. These essential oils for earache as introduced above are proved by many scientific studies to be completely safe and useful. If you use them recklessly, the stakes would be high. Earache sometimes comes as a sign of some severe underlying problems which you might not know. Therefore, when an earache persists, it is high time you looked for help from professional experts or doctors. On the other hand, before deciding to use any essential oil for ear congestion or pain, you ought to ask for advice too. It aims at minimizing the risks coming from these oils. Is It Possible to Use Antibiotics for Ear Infection? In many cases, people with ear infection rush to their doctor and get a prescription of antibiotics for treatment. It is true that antibiotics have been long used to fight against ear infections . However, they might not be as amazing as we believe. Many doctors and researchers have held the belief that bacteria are the primary cause for an earache. This idea has lasted for a very long time. Nevertheless, it is pointed out that now the virus is responsible for approximately 80 percent. And ironically, antibiotics do not affect viral infections. Many doctors might update this information, but it is possible that hardly can they give up a belief instantly. And patients have little idea of the mechanism behind it and do nothing but accept antibiotics. The sad fact is that antibiotics are no longer harmless as we used to think. In contrast, antibiotics even increase the risk of infections as they have negative impacts on our immunity. I do not say that antibiotics are not completely effective anymore. It might work for a few, but the dangers of antibiotics are worth concerning. That’s why antibiotics are not suggested for ear infection . In addition to some essential oils for earache, you can improve the healing process with diet. Food plays an undeniably important role in our health. Choosing the right food is also a key to the earache treatment. In general, earache is a quite complicated issue and requires your special attention. It might affect one of the most sensitive and important parts of our body in the long term. With these essential oils for earache, we hope that you find a solution that is good enough to clear out your problem quickly. Help from doctors is always appreciated to make sure that everything is under control.